O’More Reception at Belmont University in Nashville, Tennessee, October 10, 2018. 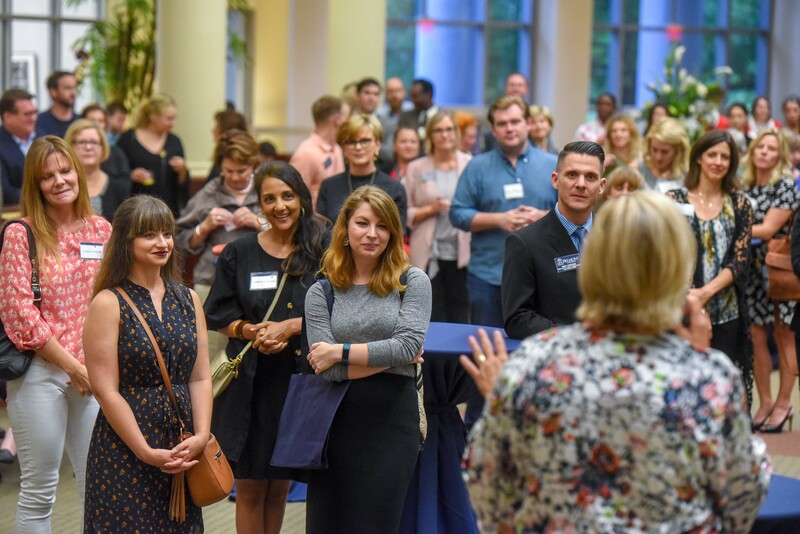 The Beaman Student Life Center was full of alumni and friends of the O’More School of Design at Belmont University* on Wednesday night as the Office of Alumni Relations hosted the School’s Alumni Reception. Graduates and current students mingled amongst the group as passed appetizers were shared and a jazz ensemble played live music. After a short ceremony of shared remarks from Belmont President Dr. Bob Fisher and O’More Director Shari Fox, attendees were invited to take part in tours of the newly renovated and opened O’More School at Belmont, located in the Hitch Building on campus.